Rabbi Ul Awwal, the third month of the Islamic lunar calendar came and left and now there is a lull in the Muslim community’s activities. It was the glorious month of the beloved Prophet Muhammad’s (PBUH) birth. It is a month when Muslims gather together globally and take part in the heartwarming mawlids, and gather together to focus on commemorating his blessed life. The spiritual rush that one gets is far beyond description, inspiring many to live their lives according to his way. However when Rabbi Ul Thani (the month after) arrives, so soon we lose that burning love that we held in our hearts for him. Why do we forget? Now that we are in the 4th month of the lunar calendar, I am missing the spiritual boost that was evoked and I am craving the songs that reminded me of his gentle character and the stories that make you want to fall in love with God the way he did. I love the way he would embrace children and be so patient with them while they would be climbing over his shoulders during his prayers. He was truly a Mercy to all of mankind; even his enemies could trust him with their property. He was the epitome of perfection in the human form. It is something we can all hope and aspire to attain one day; even if we fail as long as we try to make him our ideal. He (pbuh) asked us to love him more than our ownselves because loving him was a sure way to attain the Love of God and that is our ultimate goal for salvation. So, I request everyone to create gatherings of learning that are dedicated to his life and lessons. Become a member of www.celebratemercy.com and learn about his legacy from the most learned scholars of our time. 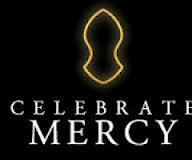 Celebrate Mercy is a worthy organization that is purely running on the sweat and money of dedicated volunteers who spend their entire days to make sure that Prophet Muhammad’s (PBUH) legacy is shared by all. It is a global bridge that can dispel all misconceptions about his life to Muslims and Non-Muslims. It is our duty as human beings to make sure that good people are to be defended and celebrated through the means of love and education. I urge you to become a volunteer of this group and invite the Celebrate Mercy team to your own town and inspire in yourself the potential of perfection that we all need to attain. Show yourself some Mercy! This entry was posted in Uncategorized and tagged #WhoIsMuhammad, CelebrateMercy, CelebrateMuhammad, cm, love, Pbuh, peace be upon him, Prophet Muhammad, To Know Him is to Love Him, webcast. Bookmark the permalink.